The machines centerpiece is a heavy, diagonally ribbed cast iron-benchbed. With an overall width of 220 mm / 8,66 inches all set up’s get an extremely solid base. The bed stands on cast iron feet with ideal static characteristics. The top edge height of the benchbed from the floor only amounts to 800 mm / 31,5 inches, therefore the machine’s centre of grativity is uncommonly low. 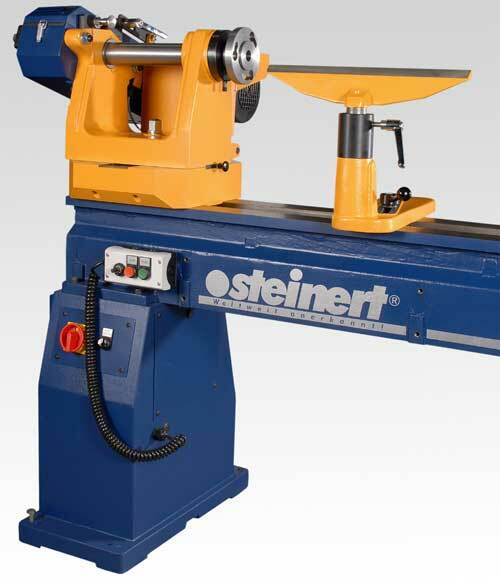 A heavy cast iron headstock, moveable over the complete benchbed and turnable about 360° disposes of a generous distance of bearings of 330 mm / 12,99 inches. In position nil two solid fitting plates provide for accurate alignment of drive and tailstock centres.With the headstock turned about 90° three clamping screws provide additional support. The spindle’s triple bearing with it’s accurate transverse ball bearing sees to an uncompromising running smoothness even with a high workpiece weight or big workpieces. The spindle measures a diameter of 54 mm / 2,13 inches and is stabilised by a bush stretched between the inner rings of the bearings. This special construction considerably raises the spindles’ bending strenght. A rear bearing allows for the use of Heureka chucks and provides additional axial stability. The rear bearing cloeses the post vent of the spindle but can be removed easiliy so that for example a vacuum chuck can be adapted. The chuck’s attachment to the spindle takes place with a bayonet receiver with diameter 125 mm / 4,92 inches. 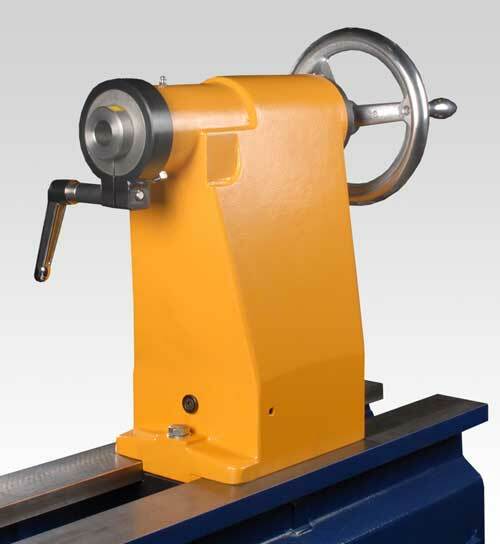 Tailstock sleeve and spindle are equiped with MT3. An extra clamping of the cast iron tailstock at the side of the working piece cares for highest stability even with heavy working pieces. 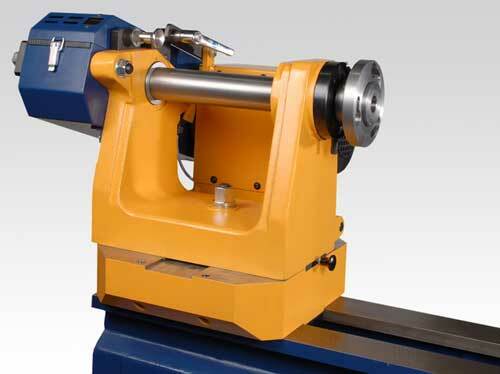 The tailstock sleeve is clamped directly at it’s exit and therefore is absolutey backlash-free. A heavy cast iron tool rest is deployed. 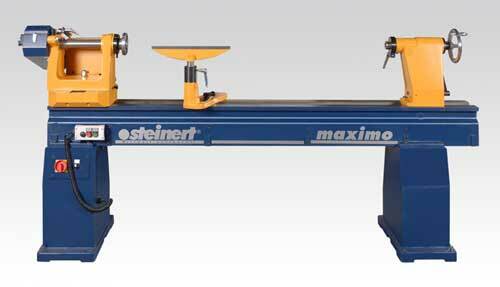 The tool rest shank has a diameter of 40 mm / 1,57 inches. Copyright 2011 DRECHSELZENTRUM ERZGEBIRGE - steinert. All rights reserved.